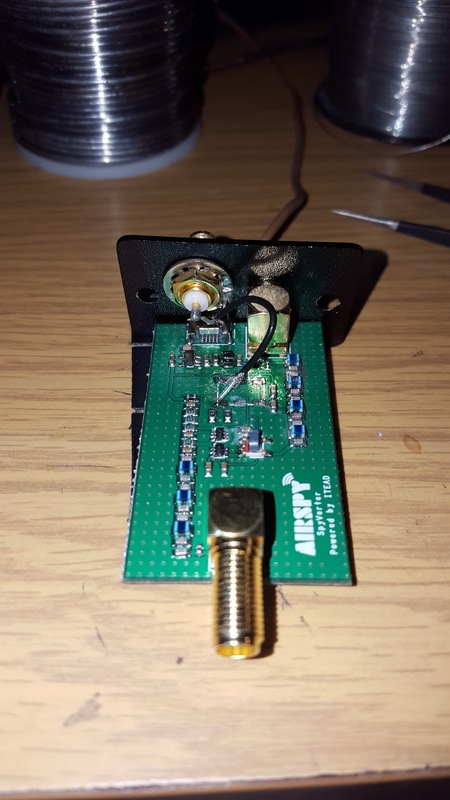 Leo Bodnar has developed a VERY NICE Clock Reference (I would call a GPSDO) which I recently purchased from Force12Inc they sell two of them this one, and this one (with a custom low phase noise xtal). 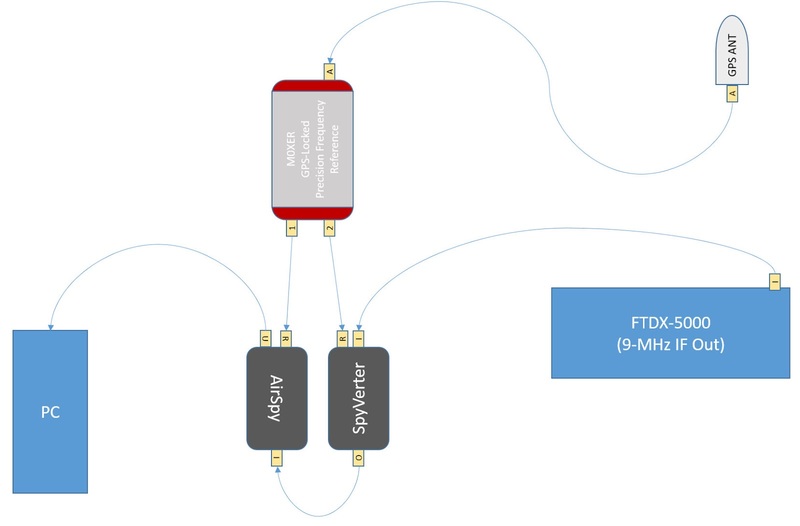 The Airspy SDR accepts a 10 MHz clock input. I've been using mine until recently in a modified manner where I used the ADC1 direct input (which bypasses the on board filters, and AGC) to input the 9 MHz IF output from my Yaesu FTDX-5000. 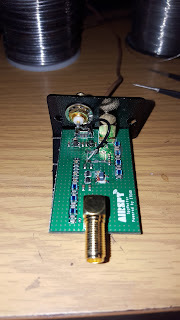 I didn't really like this method since it bypassed some important areas when there are strong signals on 50 MHz. It would frequently overload the Airspy (which I love btw), so I have a 30dB step attenuator in line to help control this easily. 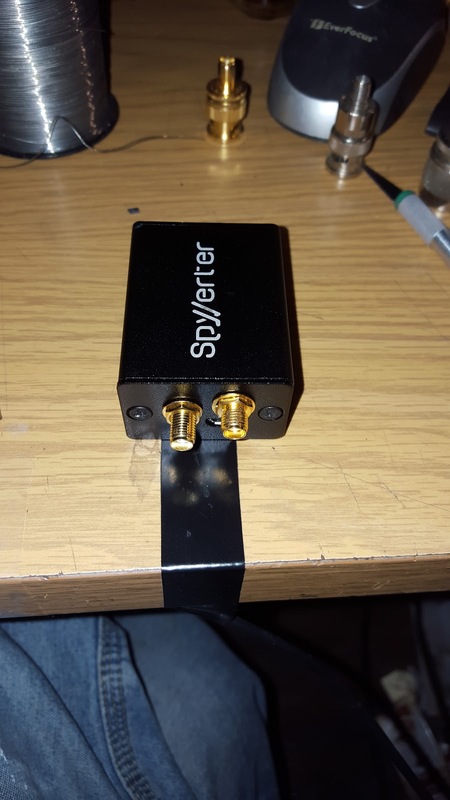 Anyway, now that the Spyverter is available, (and it's a VERY VERY nice upconverter) I wanted to try to go back to a more standard method of getting the 9 MHz IF out into the Airspy. Unfortunately the Spyverter (even the TCXO version) suffers (slightly) from xtal drift. I discovered this immediately as this was the reason I had abandoned use of upconverters in the past. I emailed Youssef from Spyverter asking him if he was aware of a work around for the drift issue. I'm 99.9% of the time a CW operator, and this drift means that I'll be close, but NOT ON when I click on a CW signal in HDSDR. Depending on the drift of the moment. He mentioned that they had tested removing the xtal on board, and feeding 120 Mhz clock from a Leo Bodnar Clock Reference into it instead. 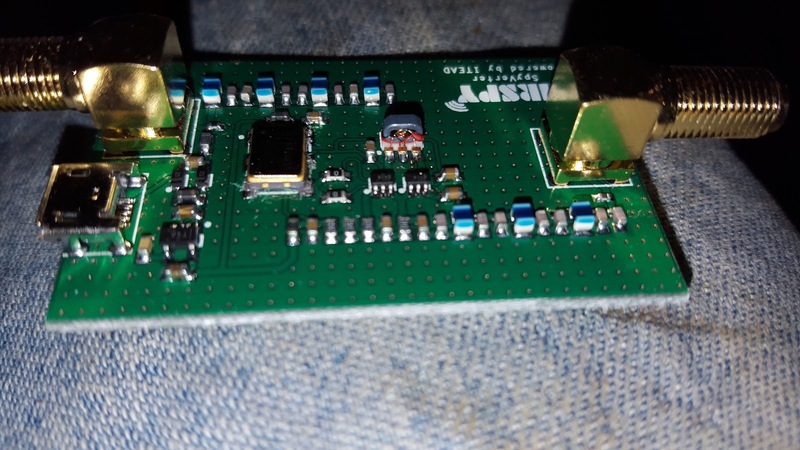 Leo's nifty little reference has the ability to create TWO output clock references at the same time from one GPS antenna connected to it. 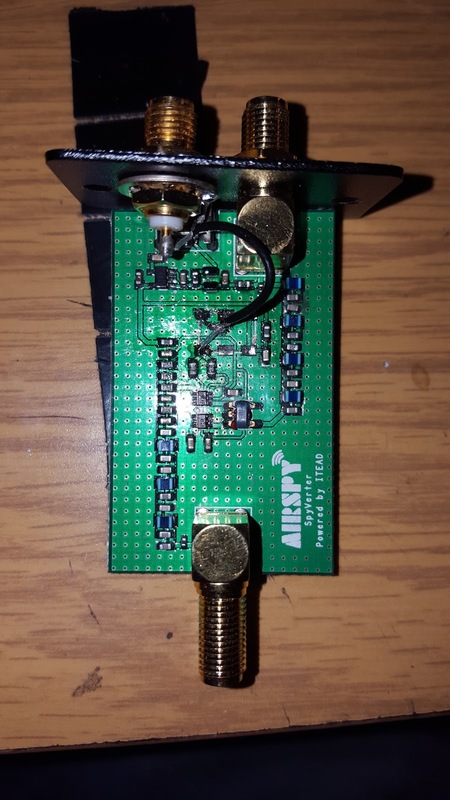 I had it working providing 120 MHz and 10 MHz output within about 5 minutes after it arrived in the post today. 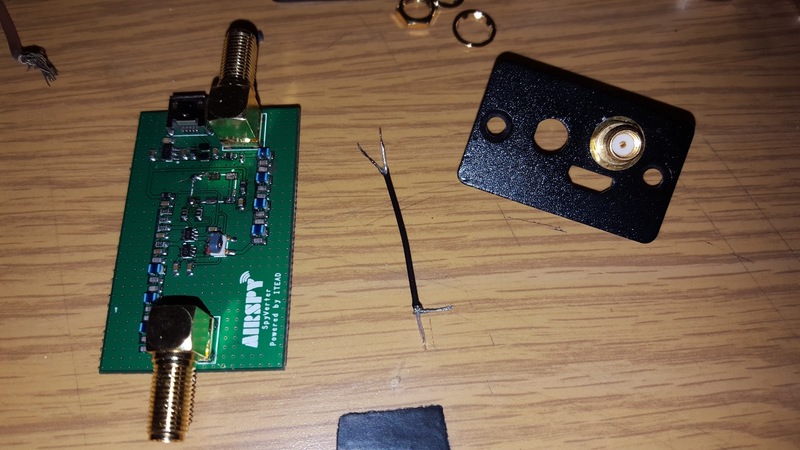 It took me about an hour (CAREFULLY) removing the on board xtal on the Spyverter. I really don't recommend doing this the way I did it. 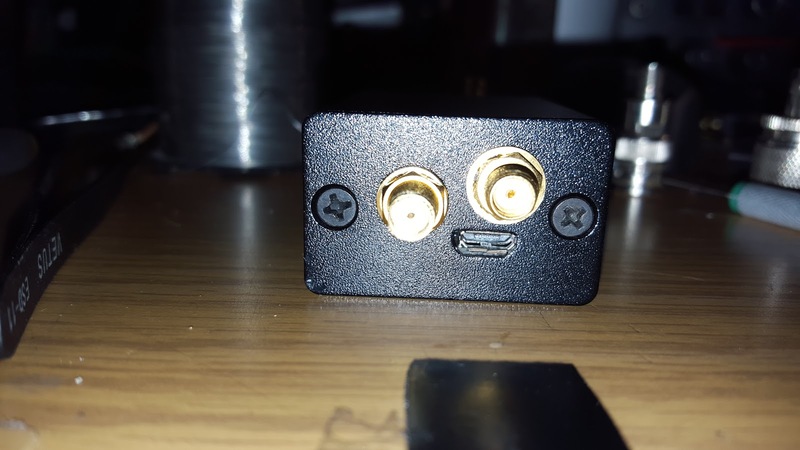 In fact if you plan to do something like this I'd recommend contacting the airpsy/spyverter folks and ask them for a board with no xtal on it at all. It's NOT EASY, and in fact I feel lucky to have managed to get it removed without damaging the board or components. 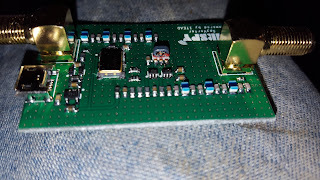 I suppose if I'd had a SMT de-solder station it would have been simple. But I don't. After this is all done it's ready to test. I attached the 120 MHz reference line from the GPSDO to the new SMA port on the Spyverter, and connected everything else up normally. When I was done, I started up HDSDR and discovered that when I went to calibrate it all, it was spot on. I didn't need ANY offset at all. NOW THAT IS A FIRST FOR ME! So now I'm just testing things to see if there will be any drift noticed. So far I haven't seen any at all. It's now 10 days later since I set this up. Frequency hasn't drifted in any noticeable way at all. I'd call this success.